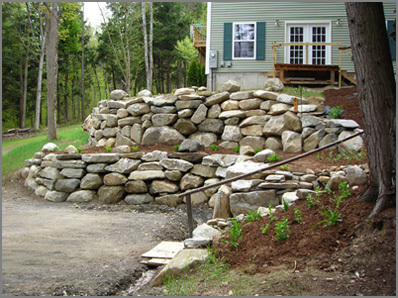 Retaining walls can be used to solve many problems on your property or just achieve an aesthetic purpose. We have constructed many different types of retaining walls from natural stone, taken right from you own property to precast concrete block walls. We will work from engineered designs or your own personal design.